Did Ukraine's civil resistance fail? “Civil resistance is also about what we don’t see,” says Maciej Bartkowski, a leading expert on nonviolent resistance. Comparing Ukraine to other cases in history, Bartkowski underlines the effectiveness of civil resistance, discusses its limits, and clears up some of the widespread misconceptions about it. The world watched amazed as Ukrainian protests turned into a full-fledged revolution by February 2014. Four months and a Russian-led invasion later, Ukraine has been at the brink of civil war and is torn (apart) between Russia and the EU, with which it has just signed a new trade-agreement. What remains of the initial euphoria about the Maidan-Revolution? Did Ukrainian civil resistance fail? 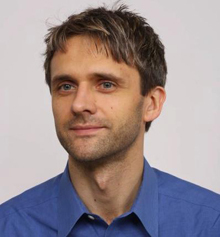 Dr. Maciej Bartkowski is Adjunct Professor at Krieger School of Arts and Sciences, Johns Hopkins University, where he teaches strategic nonviolent resistance. His recent book is “Recovering Nonviolent History”. What are the most common misunderstandings about civil resistance? The first misunderstanding is that civil resistance is thought of as a demonstration. That it’s something we see. This view is reinforced by the media, which is looking for visible spectacular stories, like demonstrations. But civil resistance is also about what we don’t see. An empty bus for example. This might not be a catching story at the first sight, but an empty bus could be the result of an ongoing boycott. Another misunderstanding is that civil resistance is a weak weapon, a passive action, or even surrender. Usually this argument would come from men who would often think that resistance with arms is active and strong enough to counter repression. We have seen this type of masculine approach in Syria and Ukraine where people would say either we fight with arms or it’s not a fight at all. Another problematic misconception is a belief in some policy and media circles that a revolution can be exported. It cannot be. It needs to come from the grassroots. Exporting revolution implies that there is one overarching formula for waging nonviolent resistance. That’s not the case. Armed resistance can be exported as it often depends on receiving external help, like weapons and money. In contrast civil resistance is led by local creative minds. Civil resistance is not a new phenomenon. But is there something specific to our time that makes it a more effective weapon than let’s say, in the 19th and early 20th century? Many would probably point to technology. But I would be skeptical. Civil resistance movements have always used the technology of the day. In the 19th century they used printing press and telegraphs to spread the message. In the 20th century, movement activists relied on radios or video cassettes. Technology is the tool, it doesn’t make the revolution. And technology can also be used against movements. We witnessed how Ukrainian civil society successfully ousted former President Viktor Yanokovych. Which tactics and strategies made this possible? There was a lot of media attention directed to violence during the revolution in Ukraine, as it looked very spectacular and dramatic. One perception was that violence brought down Yanukovych. This is not correct. The Maidan revolution lasted 93 days. During 5 days violent clashes between the police and protestors took place. But the real revolution happened in the remaining 88 days of mass based nonviolent mobilization of hundreds of thousands of Ukrainians. People engaged in many campaigns, like the Auto-Maidan: thousands of cars blocking the streets, protecting protestors, delivering food, wood, blankets and tents to the people on the madian and providing information about the movement of the police and paid thugs. There were flashmobs. There was a whole infrastructure that made the continuous presence of thousands of people on Maidan possible. This included medical services, psychological care, open kitchens that prepared tons of food daily. There was an open university on the maidan with lectures and discussions. People from Kiev offered accommodation to protestors from outside the city. I would argue that the actions of the minority of a few hundred that engaged in violence for five days were harmful for nonviolent resistance. Once violence erupted, participation on the square decreased. What were the first results of this mass-based movement? Each time authorities tried to violently repress nonviolent demonstrations their actions backfired. People perceived state violence as unjustified against unarmed protestors, disproportionate and indiscriminate. In the night of November 30, hundreds of students who sat peacefully were beaten up by the police. A couple of days later you had several hundred of thousands on Maidan. In addition, the defections from the state administration, from the police, the army and the diplomatic corps increased. When Yanukovych planned to crack down on Maidan he tried to mobilize more than 20.000 troops, but three of the four army brigades ordered to Kiev on February 20 never mobilized. The fourth was stopped by activists who blocked the railway tracks with their bodies. Army defectors didn’t refuse orders because of the violent minority. They could have easily overpowered them. They refused orders because they began to associate themselves with the grievances of the population. The movement was seen as legitimate by the majority of Ukrainians, including people that worked for the state. At the peak of euphoria about the revolution, the Russian invasion took everyone by surprise. Does it point to the limitations in the power of civil resistance? Some people are now saying that civil resistance caused these problems. But we need to look at it in phases. The first phase was the increasingly authoritarian regime of Yanukovych and its fall. He fled because he was no longer in control of various pillars of his government. He was willing to kill people, but had no more means to do that. It was the success of civil resistance. Ousting of Yanukovych by civil resistance was used as a pretext by the Russian regime to “save” Ukraine form anarchy. Russia also used violence perpetrated by the minority of protesters to justify its actions and label the new government as “fascist.” Therefore, it is so important to maintain nonviolent discipline while waging resistance because a lack of it will be used by adversaries to justify their own violent actions. The new Ukrainian government was formed quickly by a democratically elected parliament and with the support of a considerable number of members of parliament from Yanukovych’s Party of Regions. And the agreement was quickly concluded on holding new presidential elections that took place in May 2014. Also, the invasion of Crimea could not have been planned within six days – the time that lapsed from the departure of Yanukovych and the appearance of armed “green men” in Crimea. The annexation of Crimea to Russia was planned much earlier, at least since 2013. What does the Russian invasion mean for the future of civil society in Ukraine? And what should the international community do? The referendum in Crimea on joining Russia doesn’t reflect the true preferences of the population. Previous independent opinion polls showed that there was no significant support for joining Russia. Civil resistance against the Russian presence on the peninsula could re-emerge. But given the fear of the local population the question is what kind of actions can be organized. The activists still need to figure this out. The international community could set up radio and TV stations in Russian language to spread uncensored information about the situation on the ground, especially about the social and economic costs the Crimean population must now pay as a result of annexation. It’s a complete mess there. Civil servants, judges and lawyers must be re-trained to be able to switch from Ukrainian to Russian laws. Many businesses are closing. We learned from the provinces of South Ossetia and Abkhazia that their economies didn’t benefit much from Russia-triggered secession. The local population is as poor as before while elites drive around in fancy cars. The grievances in Crimea are likely to grow and the possibility of popular resistance for better governance should not be discarded. At the same time the international community must emphasize that the anti-terrorist operation (ATO) led by the Ukrainian government in eastern part of the country cannot be effective. There is no armed solution to the exiting problems and challenges. The counterinsurgency strategy must be based on winning hearts and minds of the local population, including political agitation and mobilization. The only effective solution would be for local civilian-based nonviolent mobilization and resistance. Despite dangers it will be still less costly for the population and the country than ATO; and judging form history and other cases, it will have greater chances of success. What can Ukraine learn from other cases of civil resistance? History and in particular the case of Syria teaches us that the situation in Ukraine can deteriorate very rapidly. In Syria, six month-old nonviolent resistance turned into armed conflict. During these months some 3000 people were killed. In the same period of violent resistance about 8000 died. Since the resistance turned violent the number of civilian deaths grew exponentially to the current level of more than 140.000. Although Syria and Ukraine are very different, the conflict in Ukraine could easily end up in a similar civil war that is fueled by the external forces. We also know that historically, civil resistance movements against occupation and brutal regimes were more than twice as successful as armed resistance in achieving their goals. This is why it is so important to prevent the conflict from becoming violent on both sides. Ukrainians must learn the lessons of the successful Orange and Euro-maidan revolutions, learn from past examples of violent and nonviolent struggles and imagine resistance strategies and actions without arms even in the face of a violent insurgency. It seems that civil resistance is good in overthrowing regimes, but not in predicting what comes afterwards. Do movements forget about the post-resistance transition? There is still a lot of research that needs to be done on this. But from my own research on transition I can say that when societies de-mobilize and go home after succeeding they don’t see successful transitions. But if society remains mobilized and nonviolently rebellious, democratic transition is more likely, although it can appear quite tumultuous. For example, after the Ukrainian Orange Revolution in 2005, civil society went home and packed their tents. They said: ‘we won the victory for you’ – the elites in the opposition – ‘now you govern and deliver.’ But society was not there to keep these leaders accountable. A positive example is Poland. After 1989, when the deal was made between the communists and the opposition, civil society didn’t go home. There were more strikes and demonstrations during the first years of democratic transition than in the second half of the 1980s. People did not question the general direction of the reforms, but they forced the elites to explain what they were doing and why they failed to do things. Ordinary people – rather than just elites- were significant pushers of the transition. Did Ukrainian civil society already go home now, or are they still rebellious? In Ukraine, civil society remained mobilized after Yanukovych’s departure. There are a number of campaigns launched to push for the adoption and implementation of new laws on transparency, corruption, or reforming the courts. The continued mobilization of people is important. And it also shows that if the major political change comes through nonviolent resistance rather than armed struggle, it creates the foundation for the future political development of activised society. Civil resistance requires coalition building, political organizing and consensus reaching. These experiences and skills are beneficial during the transition. Armed resistance doesn’t create this social capital. Therefore it has at least six times lower chances of producing a democratic outcome after the resistance ends than the probability of building democratic society after a successful or even failed nonviolent struggle.